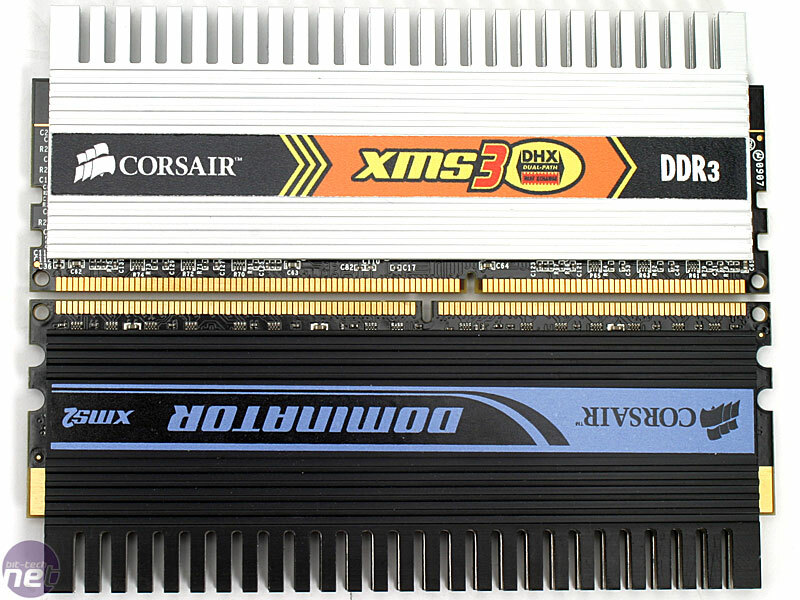 A few days ago we took a first look at the DDR2 version of the P5K Deluxe and found it to be a stacked in features but (currently) expensive and ultimately lacking in performance over P965. 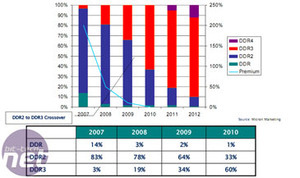 Is DDR3 any faster and worth the investment? Well, the P5K3 Deluxe is essentially the same board as the P5K Deluxe but with DDR3 support. 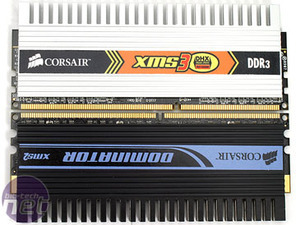 DDR3 is not pin compatible with DDR2, even though it has the same 240 pins. The keying on the DIMM socket has changed and has moved closer to the end of the module. In addition, the reference voltage has dropped 16.67 percent from 1.8V to 1.5V and the speed will increase from a basic DDR3-800MHz (PC3-6400) to 1066MHz (PC3-8500), 1333MHz (PC3-10600) and eventually to 1600MHz (PC3-12800). These are all according to the JEDEC (Solid State Technology Association) specification. 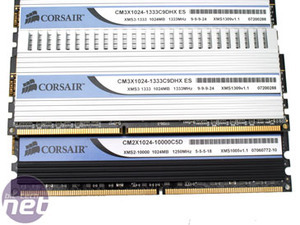 With new Intel processors launching at 333FSB/1333MHz, this means investing in PC3-10600 will be the (marketed) choice for these processors to match bus to bus and we should see DIMMs at this speed arriving soon. 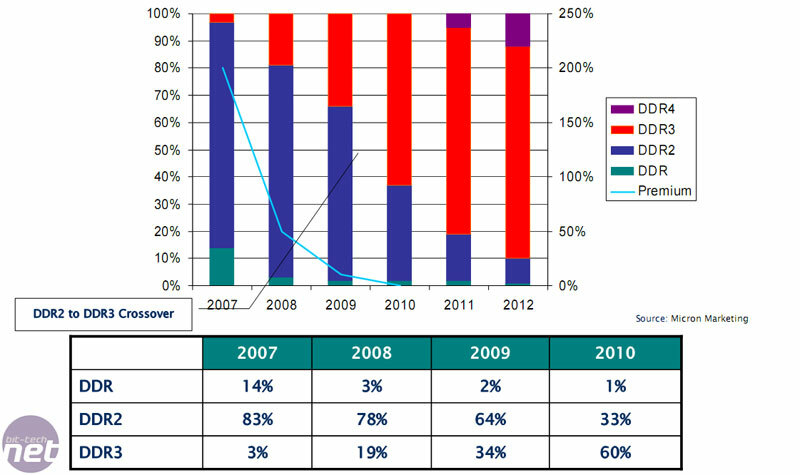 Mirroring the move from DDR to DDR2 (and even SDR to DDR), DDR3's push into the market will have some limited advantages and inevitable disadvantages at the moment, but as the progression of technology continues expect the pro-to-con ratio to change over time. 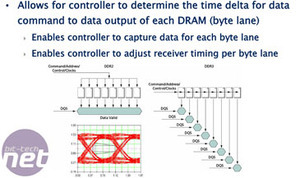 DDR3 runs at eight data interrupts per clock cycle, but a consequence of this means that latencies have to be reduced to anywhere between five-to-eight, as opposed to three-to-six with DDR2. Obviously these official specifications are just where enthusiast manufacturers like Corsair and OCZ start from - you can expect low latency and higher frequency modules in time. 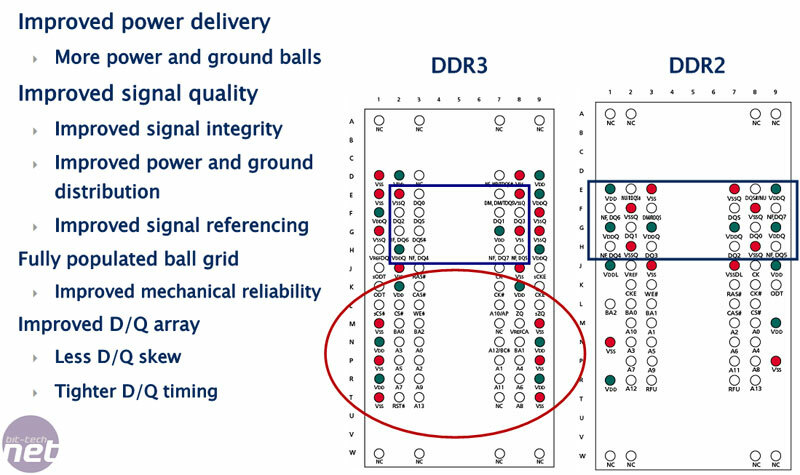 DDR3 can be made using the same BGA packing technology as DDR2 which should bring costs down, however the requirement for an eight-bit prefetch buffer, large densities and “dual-gate” transistors to limit current leakage means that the silicon needs a level or further engineering. 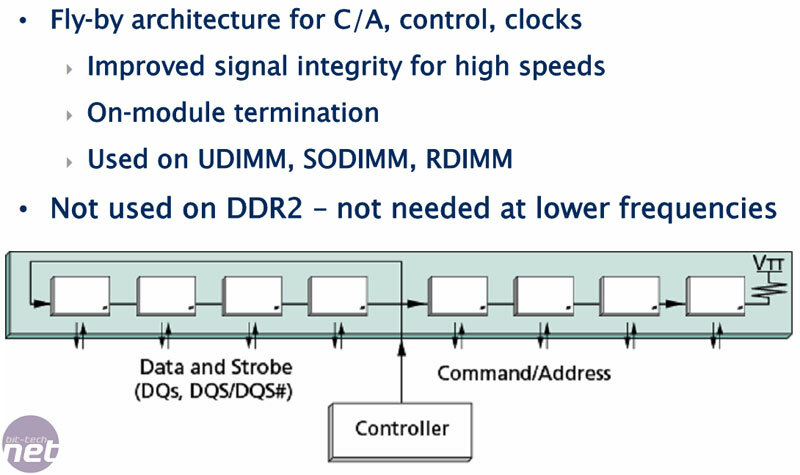 The revised architecture is needed though to ramp up to the higher clock speeds and keep the signal intensity consistent. 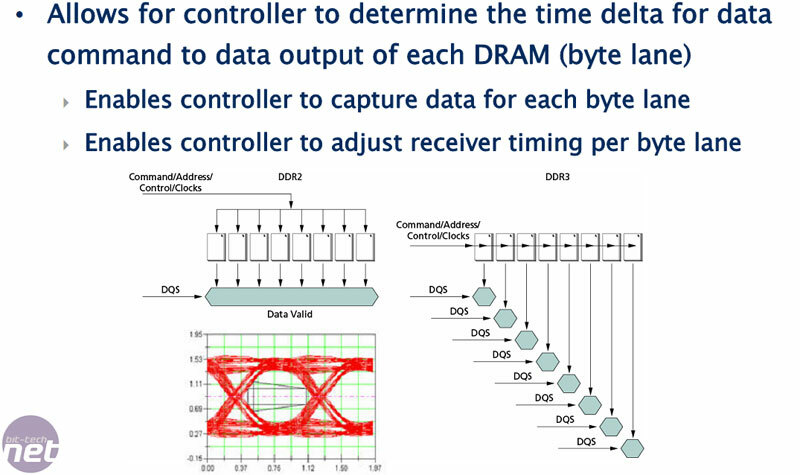 DDR3 uses a “fly-by” topology where the signal and address routing is pathed in a serial arrangement from DRAM to DRAM. 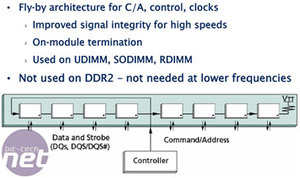 This is different to DDR2, which uses “T-branching” that splits the signal path between the DRAM modules, creating a skew due to multiple stubs and stub lengths. 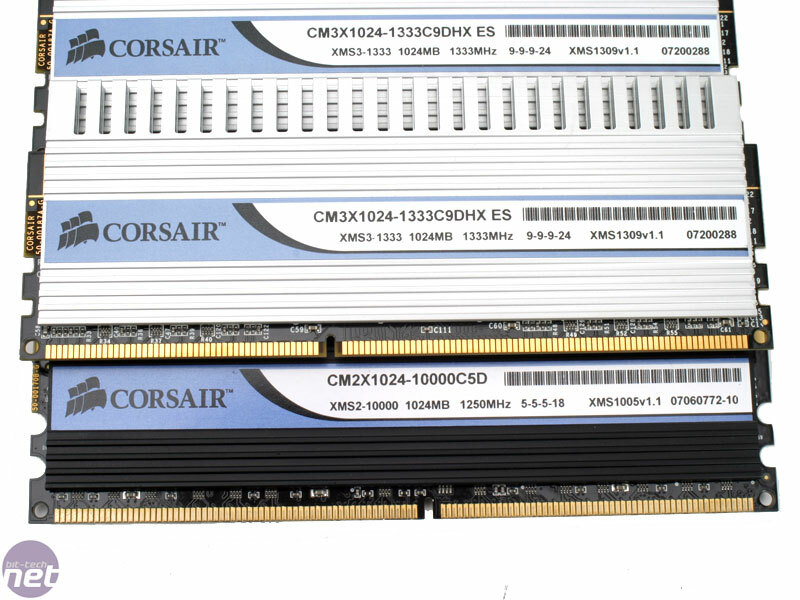 The problem with a serial link is that there is a delay between accessing the first and subsequent modules in the row, therefore DDR3 includes both read and write levelling to compensate for this difference. 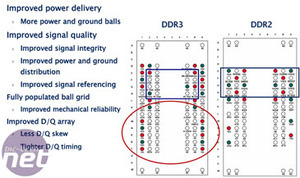 The DDR3 memory chips also have integrated calibration nodes to work out the best method of negotiation from the MCH. All of this means a whole new level of engineering, despite being a relation of the previous memory generation. On top of this we have the “new technology tax” where manufacturers charge a premium for the latest kit, and a quick nose around the net shows us DDR3 is currently mightily expensive. So, with the underlying technology out the way we delve into one of the first DDR3 retail boards to see what all the fuss is about.